Hello everyone, I hope all of you are doing well, it was a beautiful weekend in NJ. 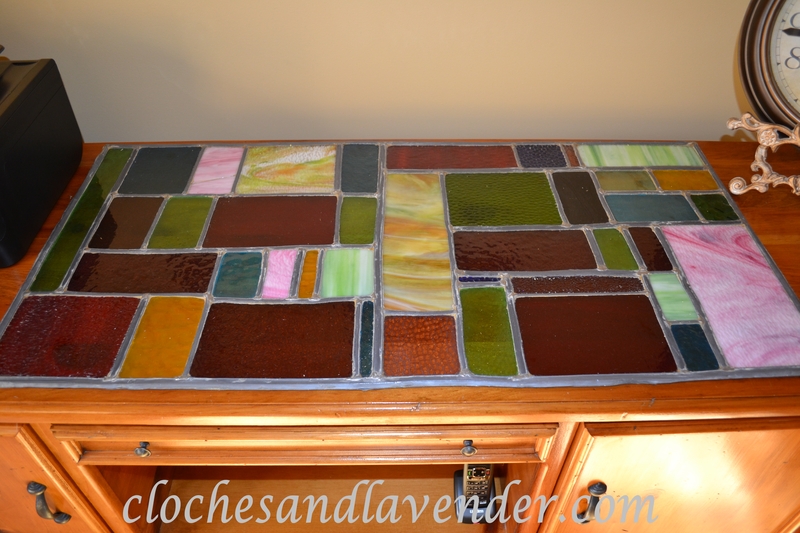 I thought I would take a little time to show you a stained glass tabletop my mother made when I was very young. I remember everything as if it happened yesterday. 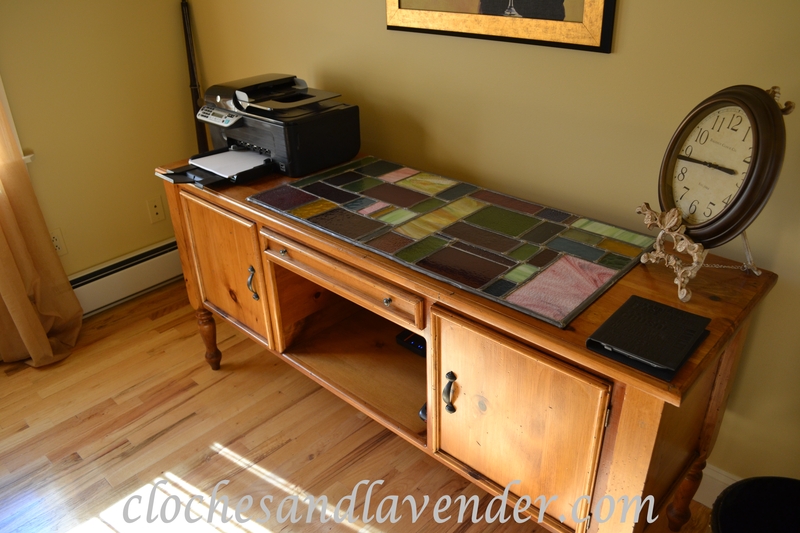 I remember going with her and my father to the glass store to purchase sheets of glass for her to work with when making this table. For some reason, I remember her telling me that red and pink glass was the most expensive so she would only buy a little of that color. I remember sitting with her when she was cutting pieces of glass for this tabletop. 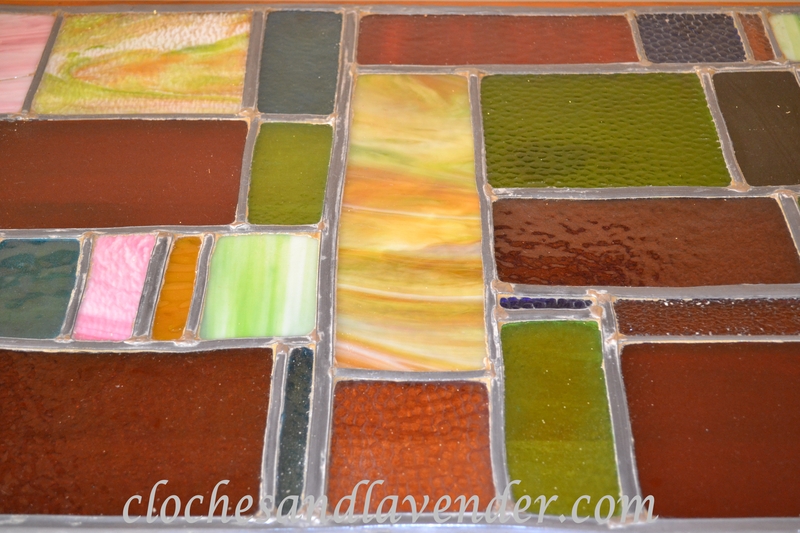 It may not be the most perfect and beautiful glass work around but in my eyes it is perfect. I cherish this piece more than I can express. This is part of my childhood, adulthood and is full of great memories of my mom. I savor every memory of my mother. She passed away too young and in my eyes the best mother on the planet. This tabletop has become very fragile over the years (it originally was mounted on top of an old Singer sewing machine) and I tried to get someone to fix the joints where the glass connects but they were concerned about damaging the piece and I was not willing to take that chance. My husband and I were planning to put a frame around the piece when we took it off the sewing machine, but decided not to risk damage to the piece of glass. My husband decided he wanted the piece in his office on his credenza and I thought that was a lovely thing since he and my mom were so close. We finally got it there this weekend as we completed his office makeover (stay tuned for that). I hope you enjoy the pictures we took. It’s lovely, Cynthia. Will you put a piece of glass over it to protect it? He is very careful and won’t put anything on it. 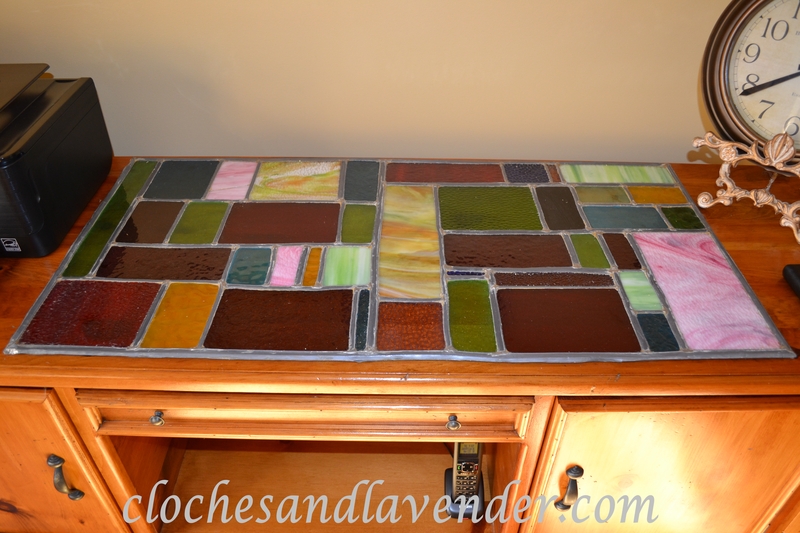 The stained glass is beautiful and so special since it made by your mother. My mother has passed on and I miss her. Thank you for the lovely post. I still miss her everyday! I was thinking about putting the glass over it and maybe under it as well to protect it. It needs to breathe and my husband won’t put anything and I mean anything on this. He loves it too much. That is amazing! How special… it looks beautiful. What a lovely and special piece! You mother was very talented! I would cherish this too. I lost my mom 22 years ago and I understand just what you mean! I cherish Mother’s pieces! This is spectral! Thank you, I will cherish this forever. What a beautiful piece. How sweet that your husband wanted it in his office. Cynthia, it’s beautiful! What an amazing piece to treasure forever! It’s amazing! What a gorgeous piece to treasure forever! Thank you and I will forever!! Your mother did a beautiful job. It’s so nice that you have given it a place of honor. It looks terrific there. Very pretty, Cynthia! You’ve got a nice selection of cloches. I love your transferware plates, too. Thanks so much. I have a lot more cloches around the house. How beautiful and so unique! Thanks for sharing. Thanks for hosting and it is very special. Thank you for your lovely comment and for hosting. Thank you so much, it is a treasure to us! What a special and beautiful piece. May you find peace and comfort in the memories it brings you. Beautiful glass and a beautiful memory – both preserved. What a beautiful Way to repurpose! Oh wow what a special piece! Great memories! Thanks for sharing this at Rustic Restorations Weekend! Thanks for the feature. That table means so much to me. What a lovely piece and what great memories it must hold for you! I think it’s especially cool that your husband wanted to use it in his office. Your mom must have been a special lady!